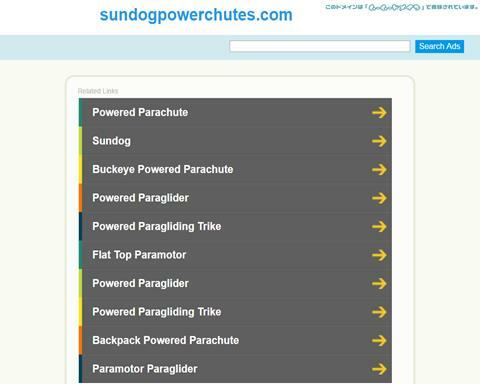 This powered parachute is for sale starting at $15,995 USD from Sundog Powerchutes. More information below on how to contact the manufacturer. 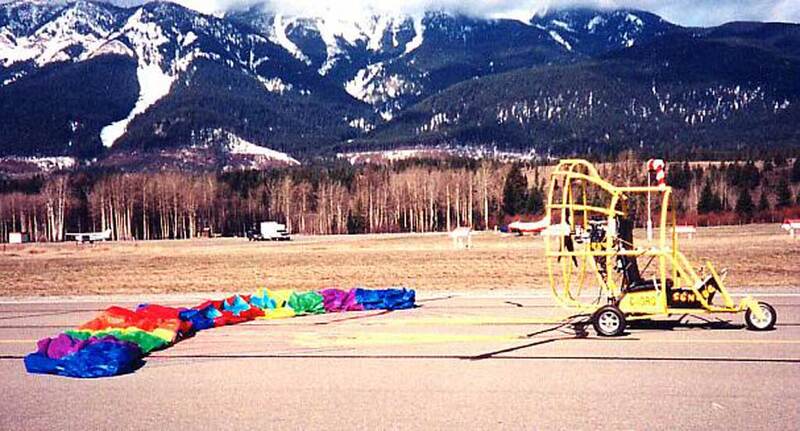 PPC's ( powered parachutes ) have been around for over 20 years and have one of the safest records in the ultralight class of aircraft. And that's because they are so slow, so simple, so easy and so forgiving. Here's how it works. One or two people ride in a cart . 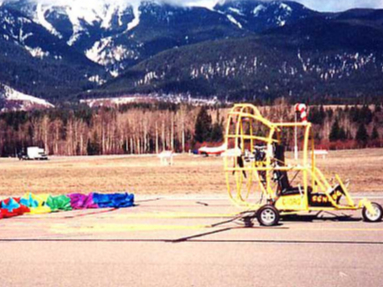 To start you empty the parachute out of it's bag and lay it out carefully behind the cart. You next buckle into the cart, start the engine, throttle up and the parachute pops up overhead and inflates its cells as you move forward. 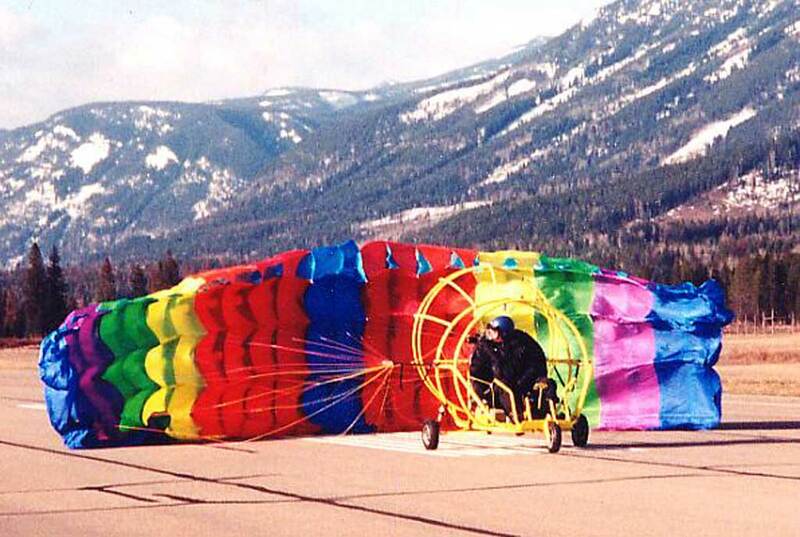 When you are sure it's fully inflated and stable, throttle up more and within feet you are flying! 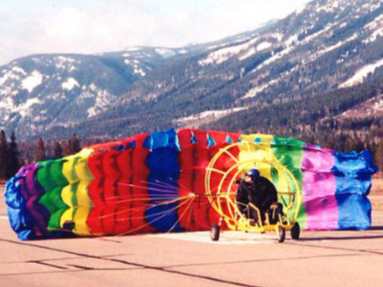 The parachute acts like the wing of an airplane and gives lift as it moves forward. To climb add throttle, to cruise throttle back some, to descend throttle back more. To turn left push the left steering bar with your left foot. Right for right. That is it! Simple isn't it? 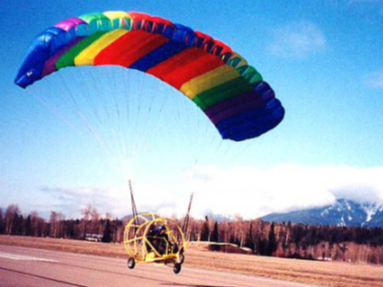 Editors note: If you want to get into the flying hobby, a powered parachute is a very affordable way of flying. 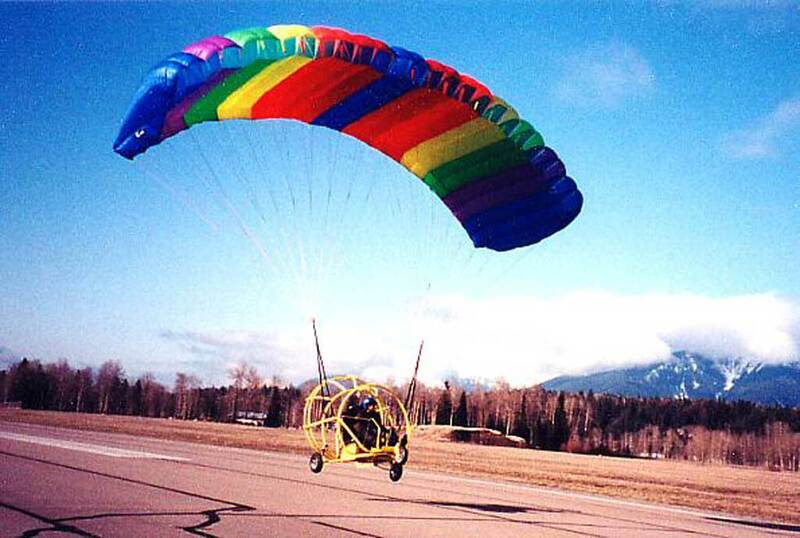 Check out our marketplace section for a powered parachute for sale!